Blade height (at heel): 0.99 in. 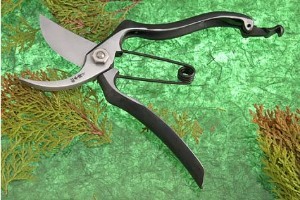 Description: These forged, differentially tempered pruning shears feature spring loaded blades that are angled in relation to the handles to create an easier cutting action. 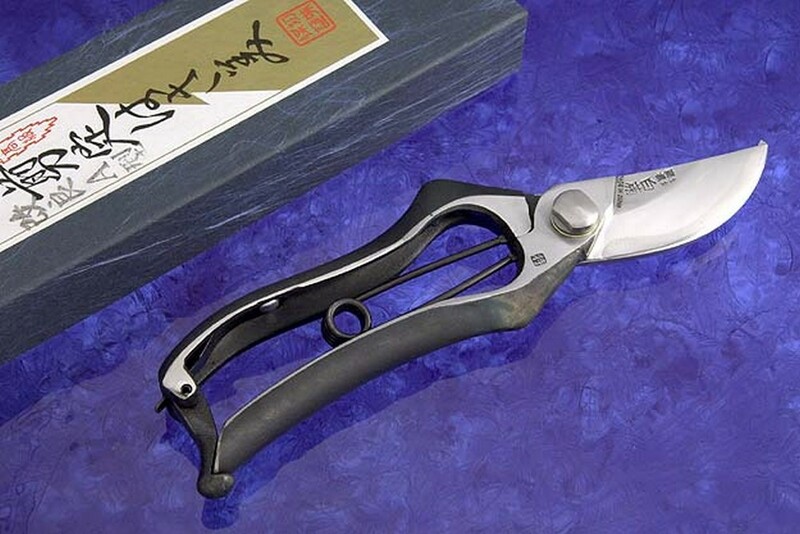 The blades have a thin blade profile suitable for bonsai, topiary, flower arranging and garden maintenance. This pair features an ergonomic handle for a comfortable, secure grip. For safety, a catch is provided to lock the blades in the closed position. The cutting blade is forge-welded from inlaid high carbon "white" steel. The master blacksmith then carefully tempers each blade for increased edge life, and hones it to a razor edge. Maximum cut is 1-1/4 inch. Attractively boxed and accompanied by an extra spring. This is the sort of tool that makes working in the yard a pleasure.